Sondre Amdahl has been on a roll over the last couple of years running amongst the best runners in the world and on multiple occasions excelling with a string of consistent top-10 results. I guess the journey really started in 2013 when Sondre placed 4th at Transgrancanaria (83km) and 10th at the CCC. In 2014, the Norwegian runner stepped up to the 125km Transgrancanaria race and placed 6th, ultimately though, the breakthrough came at UTMB with 7th followed up with a 17th at Diagonale Des Fous on Reunion Island. The 2015 season started really well with 2nd at Hong Kong 100 and moving up the ranks to 4th at Transgrancanaria – a race Sondre loves! 15th at Western States and 4th at UTMF set the stage for 2016 and Sondre’s first attempt at the Marathon des Sables were he placed 9th amongst a highly competitive field. Sondre is hooked on the format of racing for multiple days and as I write this he will head to Oman to race in the desert once again. However, never wanting to stand still and always seeking a new challenge, the heat, humidity and varied terrain of Costa Rica has lured Sondre to The Coastal Challenge. Costa Rica is a magical place and so different to the baron almost featureless Sahara Desert. Having raced all over the world in stunning mountains, on isolated trails, I wondered why Costa Rica? Renowned for specific training, Sondre often immerses himself in preparation for a key race. As he has said, Norway is not going to be the ideal training ground for a high humidity race with hot temperature. It begs the question, how will he train for this challenge? Sondre is leaving nothing to chance and peaking for a race so early in season can bring with it some risks, the racing calendar is so full and long now! I therefore wondered what his 2017 schedule will look like and I also wondered would we see more multi-day races? Marathon des Sables provided an opportunity to test equipment and be self-sufficient. It’s a challenge carrying ones own kit and I know only too well that not having enough food can be a real test, especially when racing hard. TCC is not a self-sufficient race and so therefore calories shouldn’t be an issue, however, I wondered about equipment such as shoe choices and other details for the race? The skies went dark and the clag came in, the 2016 Garmin Mourne Skyline MTR started under stormy skies as torrential rain soaked the runners. On the stroke of 0900, the runners departed the coastal town of Newcastle ran into Donard Park via the promenade entrance and then climbed the Granite Trail for a long and relentless climb. From the off, Salomon International athlete Roki Bratina dictated the pace as a small group followed lead by local runner Eoin Lennon, the Team Garmin Adventure athletes of Julien Jorro and Germain Grangier and Chris Arthur. 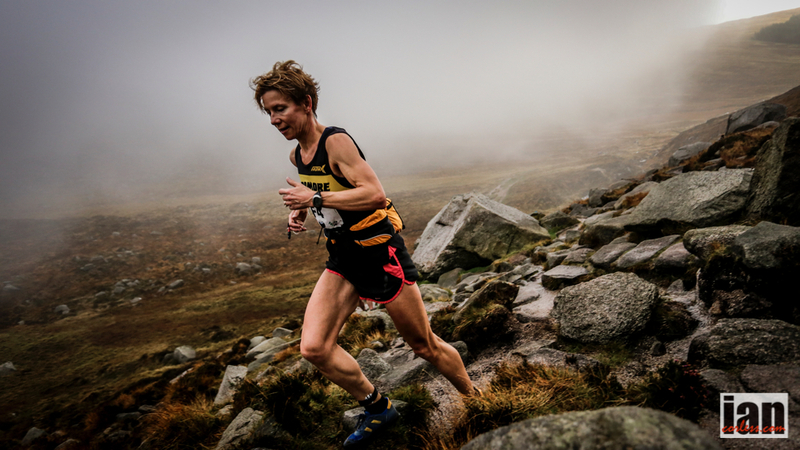 Jasmin Paris, as expected dictated the ladies’ race but Skyrunning UK Series leader, Sarah Ridgway was very close by and keeping the inov-8 athlete insight as was Katie Boden who also was in search of valuable ranking points. 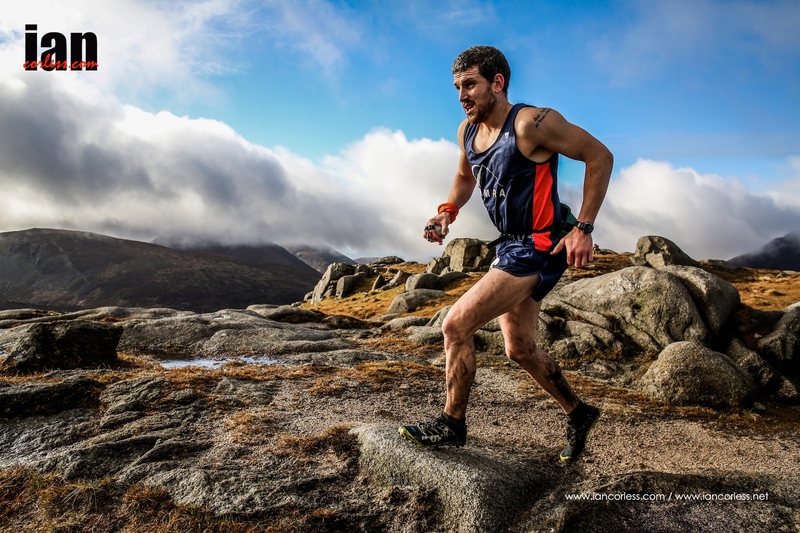 A race within a race was also happening for the men as Bjorn Verduijn, Michael Jones and Ben Hukins all fought for points and places in a bid for the 2016 Skyrunning UK Series title. It was Bjorn’s title to lose but on the first climb, Ben was dictating the pace followed by Michael and Bjorn, although trailing was looking relaxed. 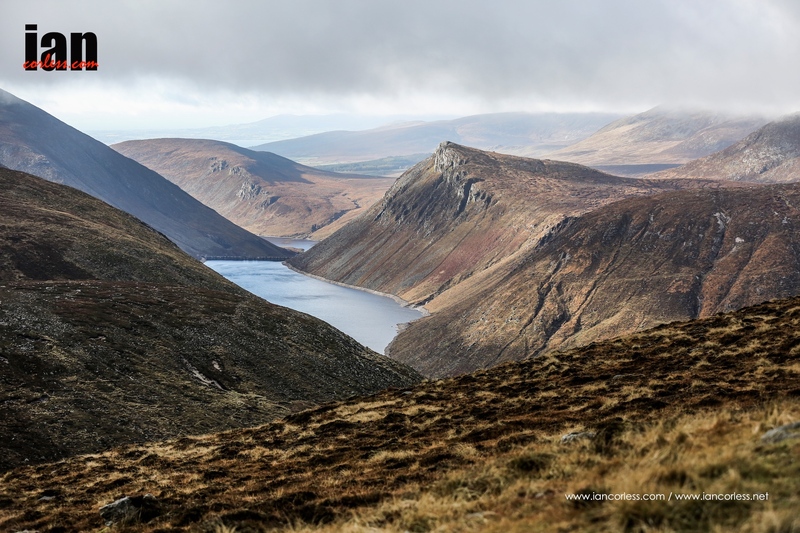 After two hours of running, the heavy rains subsided and the skies opened up to reveal the majestic Mourne Mountains and the ever-present Mourne Wall that weaves its way across the landscape. At Hare’s Gap, the first major peak waited: Slieve Bearnagh. The runners first passing the North Tor before reaching the summit quickly followed with the technical ascent of Slieve Meelmore. In the ladies’ race, Sarah Ridgeway had taken the lead, Jasmine feeling a little tired and jaded after a full-on racing year. For the men, Germain Grangier was showing the rest of the men a clean pair of heals. Chris Arthur had him in sight and Roki Bratina was in 3rd. The climbs and summits were coming thick and fast now; Slieve Loughshannagh, Slieve Meelbeg and the course continues to follow the Mourne Wall leading to a repeated climb of the technical and challenging Slieve Meelmore, this time in the opposite direction. The toughest climb of the day follows, Slieve Bearnagh. From Hare’s Gap a steep climb next to the Mourne Wall brings the runners Slievenaglogh and Slieve Commedagh. The race was now taking shape, Germain looked controlled and relaxed as he pushed his way up the climb. Chris also looked relaxed and Roki looked focused with a determination to close the gap on 2nd and potentially reclaim the lead. 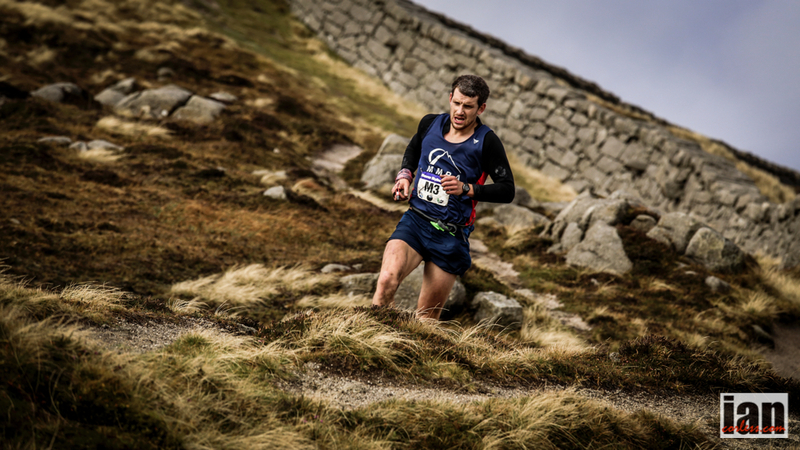 One of the pre-race favourites, Eoin Lennon complained of not being able to climb despite running in 4th place. Jasmin Paris had now reclaimed the lead and Sarah trailed by just a few minutes with a flash on inov-8 red constantly pulling her up the muddy and challenging terrain. The highest point of the course at Slieve Donard signified the end of the climbing and from here on in, a relentless drop to the finish followed the Mourne Wall before turning right and re-tracing the morning’s early climb before taking the Glen River Path to Donard Park and the finish line. Germain’s victory never looked in doubt, he was super smooth and super strong all day – his new course record 3:49:39 confirming this. 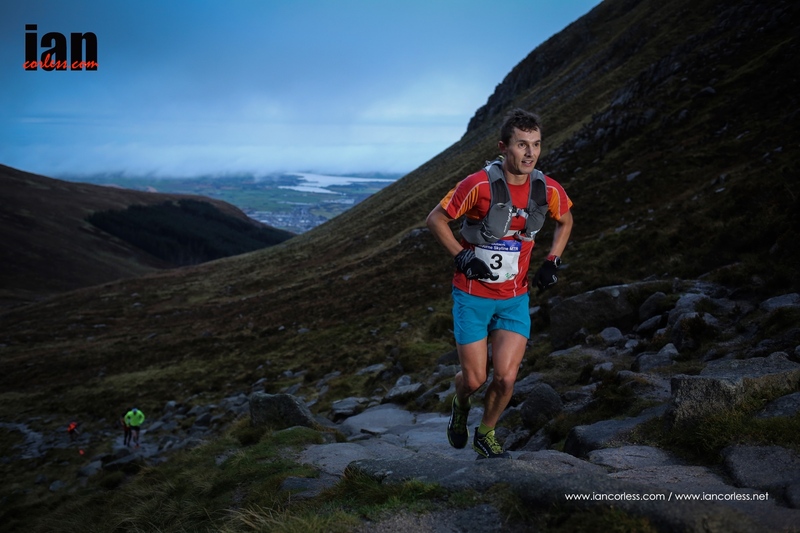 However, pre-race favourite Roki Bratina closed a 5-minute gap from Slieve Commedagh showing some supreme descending skills to finish 2nd in 3:50:17. Chris Arthur finished 3rd with local Eoin Lennon holding on to 4th ahead of Michael Jones. 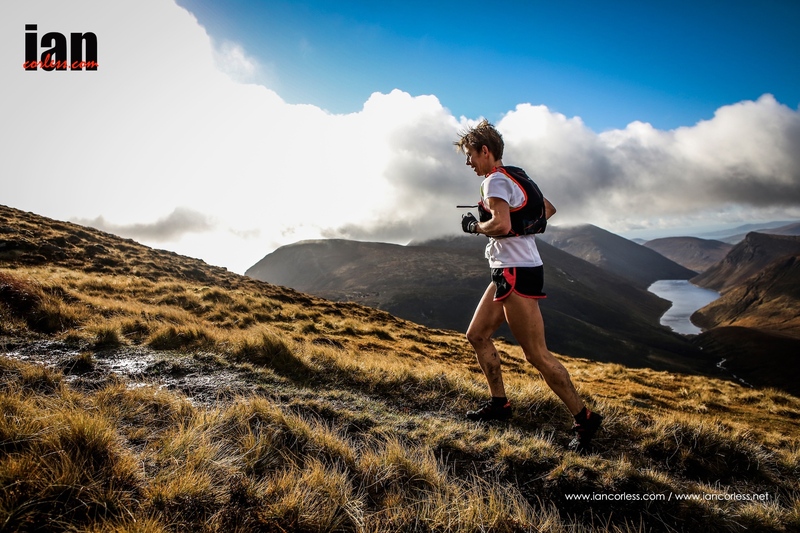 Despite all his efforts, Michael’s 5th place was not enough of a gap over Bjorn Verduijn’s 10th place and therefore the 2016 Skyrunning UK Series title was awarded to Bjorn. Jasmin Paris, despite a deep tiredness somehow managed to find the energy to hold off Sarah Ridgway and they finished, 4:30:02 and 4:34:10. 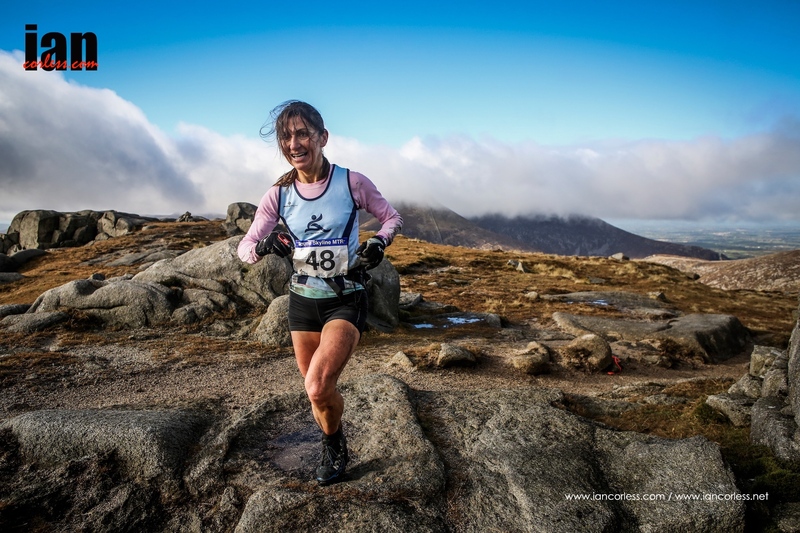 Katie Boden finished 3rd lady and therefore moved up to 2nd in the Skyrunning UK Series ahead of Sarah Sheridan but it was Sarah Ridgway who was the outright winner of the series with 2 victories, a 2nd and 3rd place – great consistency! To keep you all excited and on your toes, Skyrunning UK are pleased to announce several key changes that will be implemented in 2016. All Skyrunning UK races in 2016 will have a minimum prize purse of £500 awarded as £125, £75 and £50 for 1st, 2nd and 3rd male and female. The Skyrunning UK Series will be implemented in 2016 and at the end of the year a male and female champion will be crowned. Points are awarded as outlined HERE. To qualify for the series, runners must participate and finish in a minimum of 4-races. Points are accumulated and the male and the female with the most points are the Skyrunning UK 2016 Series Campions. 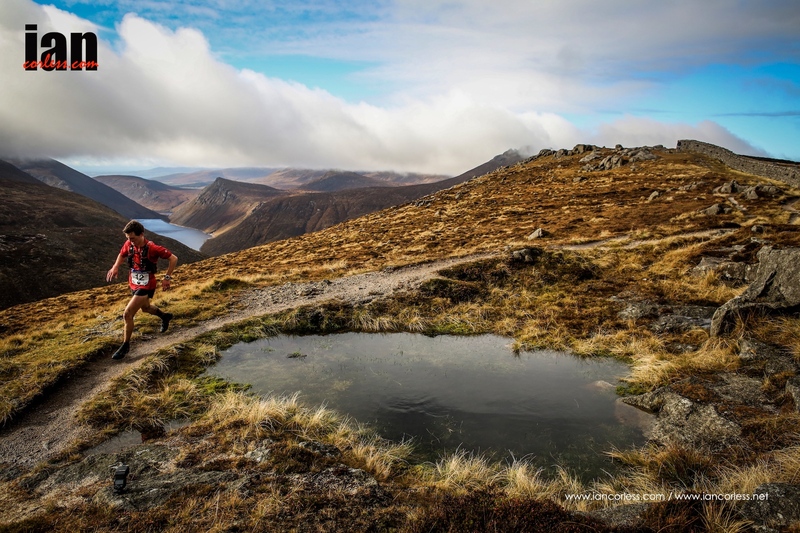 It is possible to run all Skyrunning UK races and use your best 4 performances for the ranking. Needless to say, Skyrunning UK is booming! The V3K crosses the best of Wales – gnarly edges, rocky inclines and grassy slopes. food. You’ll need to be mountain savvy with a good head for heights, confident scrambling technical terrain and be prepared for the greatest mountain day of your life. Main mountains and terrain type: Fairfield, Helvellyn, Swirral, Casty Cam & Striding Edge, Pinnacle Ridge, High Street and Red Screes. Its a mixture of single track trails, technical rocky ground and open fell. This is a race of 2 halves, with very technical running & graded rock scrambling in the 1st half, then faster and easier running on good trails for the second half. The course ascends and descends some of the most classic ridge lines taking in 3 of the most iconic scrambles in the Lakes. The course is fast & furious. Be lulled into the race by ascending Fairfield via Dove Crag,then punished by Helvellyn’s Edges and the ascent to Pinnacle Ridge. Luckily there’s Patterdale CP & the second half to recover if your legs can still take it! Note – New LSU propose a new addition for 2016. A SKY race. 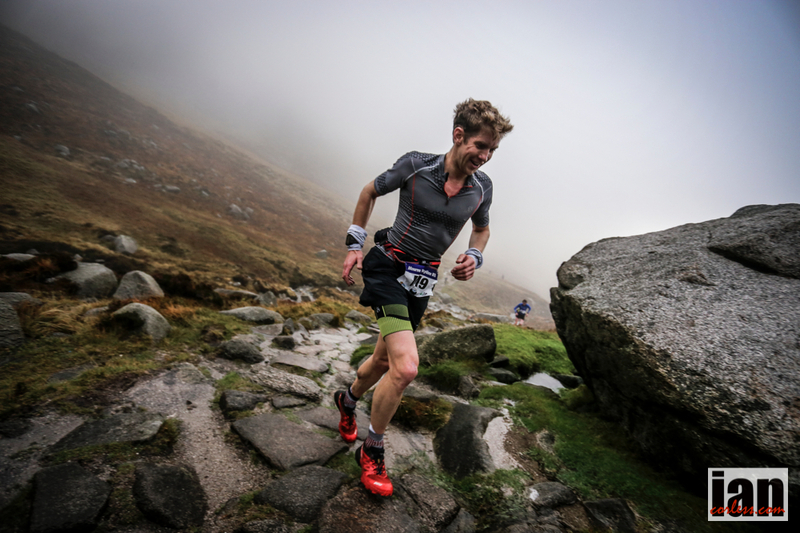 More news to follow via Skyrunning UK. The route is based on a local fell running challenge called the 5 Trigs. The race principally follows public footpaths passing close to or over the tops of Axe Edge, Roaches, Shuttlingsloe, Shinning Tor and Burbedge Edge. 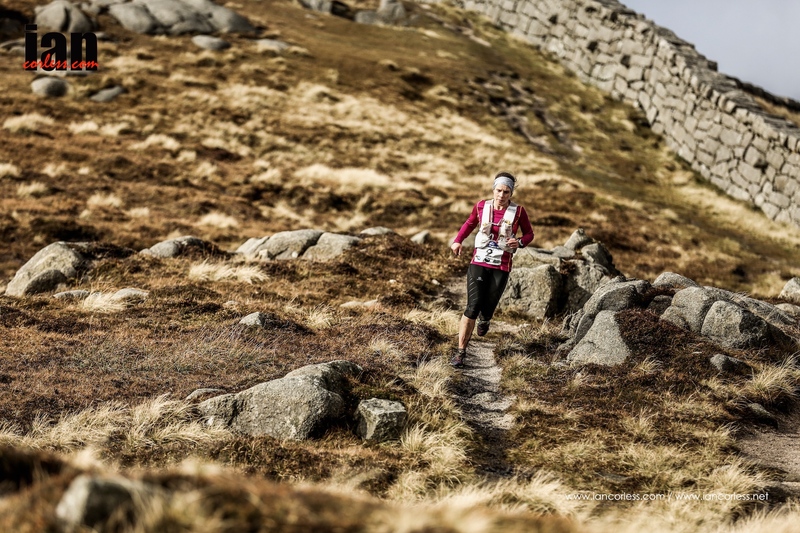 Competitors will cross fields, moorland, limestone and millstone grit peaks/escarpments. 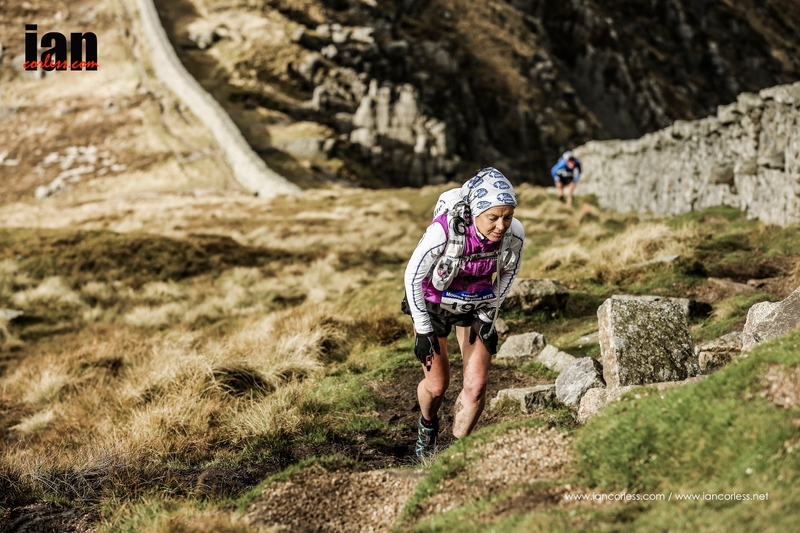 Peak SkyRace is an ideal introduction to Skyrunning in the UK. The Peak District cannot compete with the altitude and ruggedness of the Lake District, Snowdonia and the Scottish Highlands. However do not think that this course will be easy, pacing is crucial. Go out too fast and you will pay the price in the later stages where most of the ascent and technical descent is found. Main mountains and terrain type: Buachaille Etive Mor, Bidean nam Bian, Aonach Eagach Ridge: extremly remote and serious Scottish mountains. There will be a VK Friday evening 16th September and a 25km ‘Ring of Steall‘ SkyRace race on the Saturday 17th (same high mountainous terrain at Glen Coe Skyline but without the technical scrambling sections). Main mountains and terrain type: Scafell Pike – Steep rocky terrain throughout. The summit plateau of Scafell Pike is a vast boulder field. Initial part of descent is steep & covered with loose rocks. Helvellyn – Long ascent then rolling mountain trails along the beautiful Helvellyn ridge line. Skiddaw – A long & steep climb on grassy terrain, summit scree/slate, fast descent on gravel/stone trails. 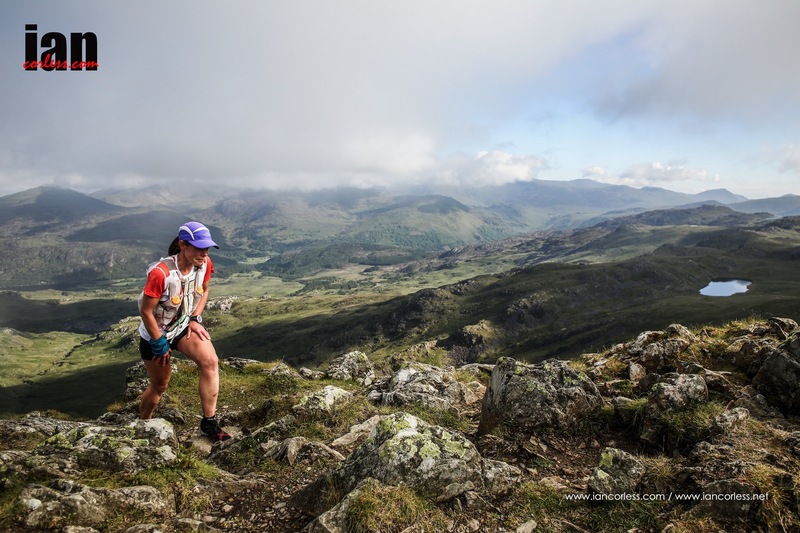 A unique ultra running event linking the Lake District’s highest mountains-Scafell Pike, Helvellyn & Skiddaw. 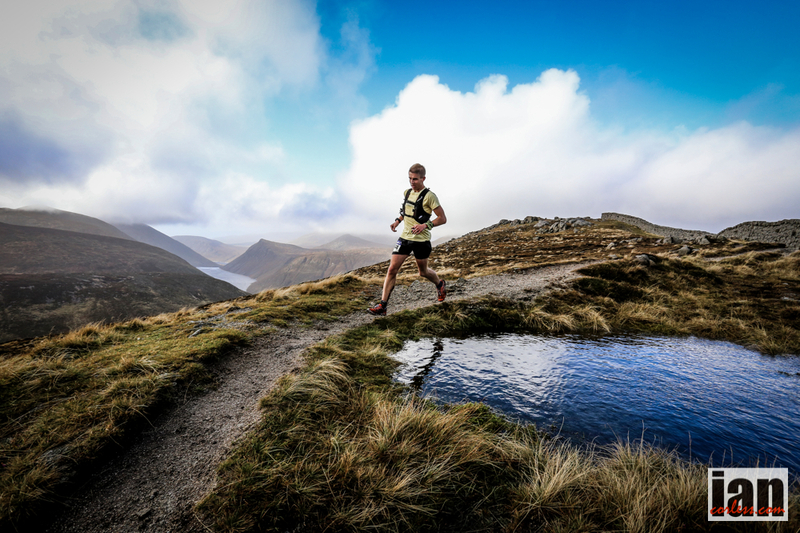 Designed by 2013 World Trail Running Champion Ricky Lightfoot, the route offers a journey through the full spectrum of classic Lake District fell terrain. 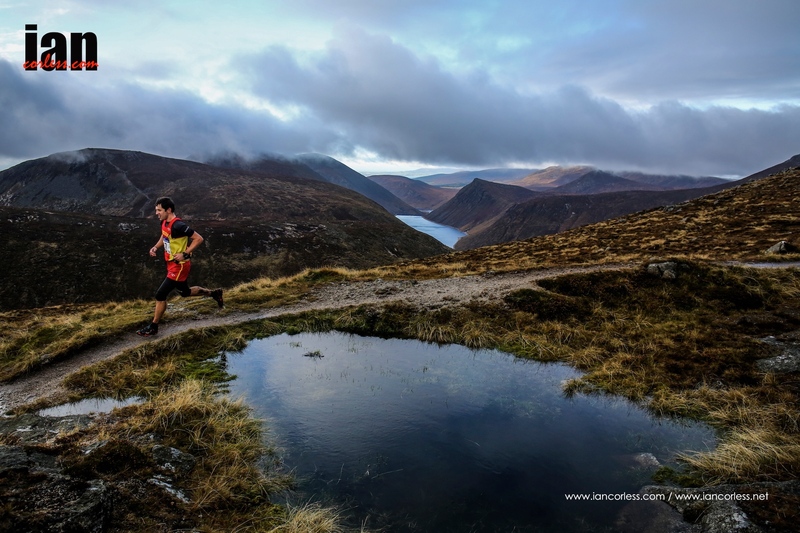 Main mountains and terrain type: The course covers the highest peaks in the Mourne Mountains, including Slieve Donard (850m), starting at sea-level on Newcastle Promenade and winding it’s way uphill onto forest and mountain trails, all surrounded by the most stunning scenery. The seaside start, alongside the relentlessly tough (yet spectacular) course has proved popular with athletes. You will need mountain-trail experience, endurance and courage for the race, which is technical in places. Some speed will also help on the flat and fast sections, and the final 5k descent! 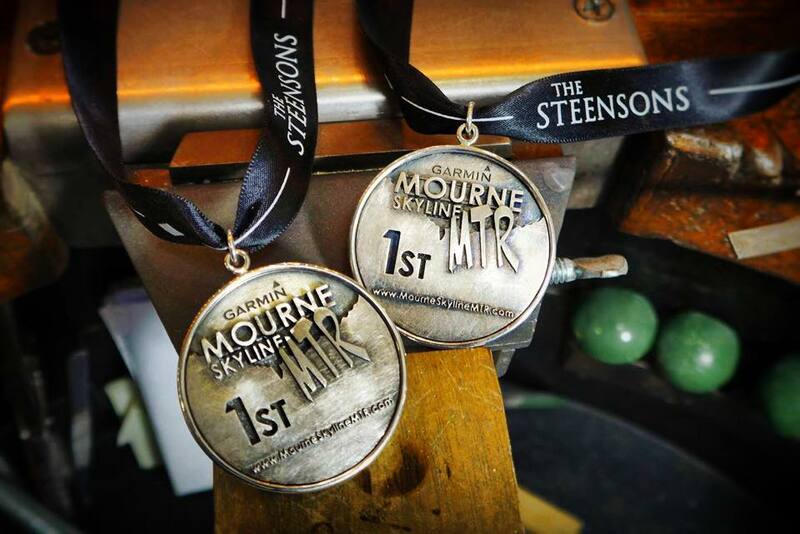 Race entry HERE* Please note entries will open on St Patricks Day (March) 2016. 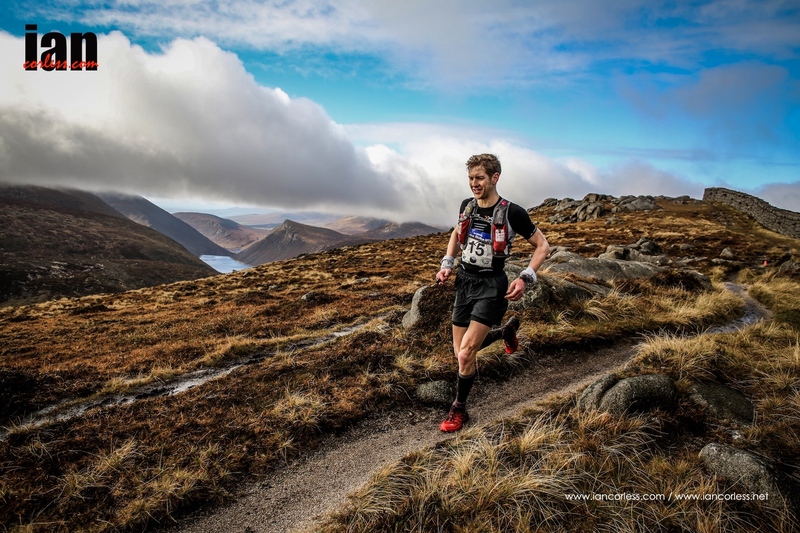 Absolutely stunning and tough day in the Mourne Mountains, Northern Ireland, for the 2nd edition of the Mourne Skyline MTR and the 6th and final race in the 2015 Skyrunning UK calendar. Race report, results and full set of images to follow.